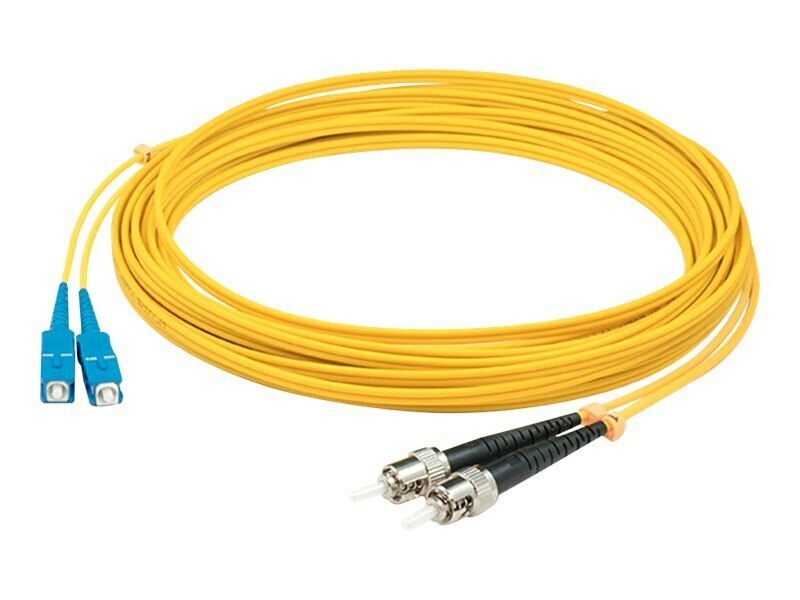 This is a 40m SC (male) to ST (male) yellow duplex riser-rated fiber patch cable. OS1 is a standard single-mode optical fiber commonly used with wavelengths of 1310nm and 1550nm (size 9/125 microns), and has a maximum attenuation of 1dB/km. The OS1 standard is defined inISO/IEC 11801. This optical fiber, nonconductive, riser (OFNR) cable is best suited for use in interior fiber-optic applications. A duplex cable is a two-strand fiber optic patch cable that works best with transceivers that both transmit and receive. Our patch cables are 100% compliant for all of your networking needs. Our products are guaranteed by federal law to not affect or void OEM warranties.